A Plague Tale: Innocence is shaping up to be quite an interesting piece of software, mixing historical elements, gore and lots and lots of rats. No. I will not lie by just saying…power. It’s really the power of the device. In this case it was the amount of rats we need to display. We already know that there’s too many rats, too many animations, too many AI at the same time. And if we want to give justice to – it’s like there is a large bridge between [it and ] Xbox One X and PlayStation 4 Pro. And the Switch, it was too hard to make the same game in such a different context. We’ve done the math, and had all sorts of discussions with Focus Home Interactive (the publisher). So maybe will try, but right now the discussion we’ve had with the publisher was to not make Switch a priority. Despite the almost comical nature of the excuse - we've never heard "too many rats" used as a reason to skip Switch before - it makes sense. A Plague Tale's big selling point is the way in which these creatures scuttle and flow around the game world, like a tide of death. That's clearly going to be taxing on any system's processing power - but could the developer eventually make it work? Time will tell, but for now, you'll have to experience this game elsewhere. Glad they ruled it out, Dead Rising on Wii was a pitiful port because of how few Zombies it had so if they need millions of rats they should have millions of rats. This Dev's reasoning is fair, from what I have heard, they had issues with the Xbox one and PS4 running it at first. Apparently this game is only on Xbox One X and PS4 Pro since they quoted the difference between Switch and those. What about PS4 and Xbox One? This doesnt hold up sadly by referencing the optional upgrades that are supplements to the hardware you MUST develop for? It sounds silly, but it makes sense. And like with any game, if a developer needs to heavily sacrifice part of their creative vision to port their game to Switch (be it visual fidelity, volume of rats onscreen, etc. ), I'd prefer if they just didn't bring it over. It might be possible to create a heavily downgraded port on Switch, but that would take a lot more time and effort from the developers. I see why they aren't developing for the platform, but this doesn't bode well for third-party games coming to Switch in the future. I respect their reasons. If they can't see their game running as they fully imagine it, makes sense why they wouldn't bring it. That's a fair reason really. I'm interested to see how well it'll run on a base level PS4 as the story/setting seems intriguing. @BLP_Software "What about PS4 and Xbox One?" I think his point is - and I think this will be a lot of devs point - they are already making a high end game for Pro and X, then having to downsize it to get it to run on 4 and 1, that having to downsize it again for Switch would make it a very different game from where they started. Now once Switch reaches an install base approaching the Wii U - everybody makes switch out to be the next big thing, but it's 1/3 of the Switch install base w/ basically the same power - then maybe it will be worth their effort to port it. But for now it isn't, even if it is possible, which it may not be. How many more Project Cars and Yooka-Laylee's do you want to deal with BLPs? We condemn companies when they don't bring games to Ntinedo, we condemn them when they try to and fail. Since it's the same result, condemnation, easier, and cheaper, for companies not to try and lie, at least they won't be called liars then, so they'll have that going for them. If they can't, or won't, do it, I'd rather know that up front, I'm personally sick of the lies and waiting for games that never come. Looking at that trailer it was never realistically going to be on the Switch now was it?! Just like with BG&E2. It's a shame, as the premise looks good (I get an Eternal Darkness vibe), though until we see some gameplay it's just a nice bit of FMV. @rjejr yup, I genuinely hate the Nintendo fanboys for this. If you don't make for Ninty you're trash, if you do and fail, you're trash. Because Ninty can work wonders all other devs are trash or lazy. Difference is Nintendo HAVE to make there games good as it's THERE console. 3rd parties are there to make games and make money and if down porting it is too much effort, it doesn't get done. @Dakt you can love a console and not develop for it, how many games have you put on Switch? @rjejr You shouldnt make it for the Pro forst and go down. That was my worry with thek existing in the first place! Crap ports for the regulars! And I dont want any more Yooka or Project Cars (Namely Cars because...jesus that was bad) but if they have a reason dont admit you are prioritising the lesser sold,or not even OUT yet systems over their more used counterparts and say THAT is why its not coming to Switch. Reminds me of the Scarabs in the Mummy movies. This is the reality: different game worlds may require certain minimums in terms of horse power. And the Switch just can't handle this one. At least they are honest! Many people on this site sadly don't want to see it, but the Switch is weeeeeeaaaaak compared to the XboxOne or Ps4! @GravyThief Seeing this trailer reminded me of Eternal Darkness as well! Just render each rat as a cube, I'm sure it will run on Switch. Minecraft style. I'm not gonna get up in arms if this game doesn't make it to the Switch. If its technically not possible, then it is what it is. I never even heard of this game beforehand. So its no big lost for me. However, I guess the one bright spot is that at the very least, they haven't actually tried (if I am reading his response to the second question correctly). So maybe there is someway to get it running on the Switch close to their vision. @GravyThief Actually BG&E2 does have a slim chance. Michel Ancel did mention that they developed the game's engine to work on many platforms. Now that does not get me going "yup Switch confirmed" but rather "Switch is possible but will be downgraded"
It's obvious that being different is not look upon in this day and age anymore. Seem like the more Nintendo become different, the more developer will poo on it due to the industry refusing to innovate. It begins. This is to be expected, I still expect Japanese third party support just as the 3DS got. Face it ppl this is the successor to both 3DS/WiiU but developers see it as a more powerful handheld. @BLP_Software lets be real, Sony and Xbox will screw early adopters little by little like myself. They will displace the basic model and move to an upgrade every 2-3 years business model without us gamers even noticing that. Too bad they can't utilize the AMD Vega's upcoming ability to proactively not calculate unseen animations and textures, through improved primitive shader handling. I don't know if the Tegra X1 has that capability. But that's probably a big potential issue here, not just displaying what's on screen. If they took off antialiasing and crap like bloom, that would also help. @Henmii @Robotron2084 Funny thing is that the PS4/XB1 are also weak at this point. Even the upcoming brand new XB1X is going to be severely bottlenecked by it's now ancient APU/CPU. It's still using the Jaguar 8-core APU, which has base clocks of about a measly 1.8 GHz. (The PS4 Pro overclocks this to a still measly 2.1 GHz, the XB1X perhaps a bit more.) It's more than the NS, but then again, they're not portable. Pikmin 4 cancelled. Too many Pikmin. @PlywoodStick Thank you for pointing out that PS4 and X1 are also fairly weak at this point. I don't understand how there can be so many people who don't realize that PC passed consoles by in terms of power years ago. There are many reasons to prefer console to PC, but power is no longer one of them, although personally, since Sony and Microsoft have spent the last three E3s showing how PC-like their consoles are, they've convinced me to just make my second system this generation an actual PC. I hadn't heard of this game before. Might check it out. If this site is going to post an article for every game the Switch can't handle, 99% of the articles here will be about that. Yeah this is beginning to sound like a broken record. Any time a game has any kind of power demand, we can almost count on it not coming to Switch. I was really hoping that this time would be different, but guess not. I will support 3rd parties that come, but it looks like I won't be spending near the money I initially thought. Cheers everyone! PCs have always been more powerful than consoles. PCs didn't pass consoles "years ago", like you claim. "Thank you for pointing out that PS4 and X1 are also fairly weak at this point. I don't understand how there can be so many people who don't realize that PC passed consoles by in terms of power years ago. There are many reasons to prefer console to PC, but power is no longer one of them, although personally, since Sony and Microsoft have spent the last three E3s showing how PC-like their consoles are, they've convinced me to just make my second system this generation an actual PC." The perfect example how everyone prioritise graphics over gameplay. This will be the story of the Switch's life with regard to 3rd party support. It already is. I think Switch has dodged a bullet here, looks bloody awful. @BornInNorway81 You must be young if you don't remember when PCs didn't have a power advantage. 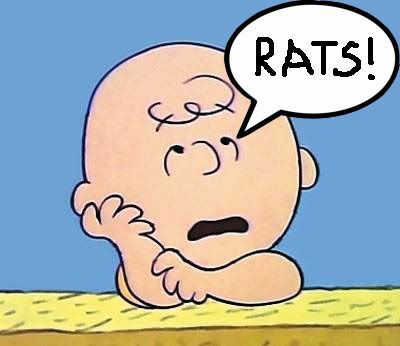 Owh they were really talking about rats, i thought is was some kinda codename for a processor or something LOL. But this seems like a game i wouldnt buy anyways, no matter on what console. I really wanna buy a PS4 but all games look like this all the time, like you are watching a movie and the only game i think are worth playing( for me) are God of War 4 and the new spiderman. These games are the ones that give me PS2 era feeling and ofcourse a few others but most games just dont interest me. Besides the fact that both are scheduled for 2018 release. Nintendo still giving me the vibes, even replaying older games. Skipped the WII/U but boy do i love my 3ds! Fck plague tale. Never heard of this game, but let's hope the number of rats present is the only thing that makes or breaks this game's immersion. •"How to do this thing in The Legend of Zelda Breath of the Wild"
•"Splatoon 2 is a thing"
•"Look at this mobile-quality Indie"
That's also what you get with a 4gb ram system. Don't forget people Nintendo had to add expansion pack on N64 to run Majora Mask and Donkey Kong 64. So ram does matter to handle those stuff as well. When i heard 4gb I was like are you kidding us? Asobo Studio then it's a pass for me thanks..My PS4 will never see your game on my console..Sorry no money for you! @Gold_Ranger They said noting would be exclusive to the upgraded models. They did not say they'd enforce actual optimization so that any 3rd party game runs ACCEPTABLY on base models, they merely said it would run. We could reach a point with, especially 1X, moreso than PS4 (since base PS4 is more powerful than base one to begin with, and Pro is less powerful than 1X, so less gap) where games are made for 1X, and are just stuttery messes on 1S. Though before that happens it has to sell. And at $500....that's not an easy sell. The Nintendo Switch...on your other consoles because there's nothing to play on this thing. Congrats on your third Wii, Nintendo. Hopefully the switch sells enough units for you to finance a proper console next time. @BLP_Software "Crap ports for the regulars!" Every PS4 game gets a crap port on Xbox1, every Xbox1 game gets a crap port on PS4, crap ports are nothing new - see Bayonetta on PS3. And Skyrim on PS3, though that may have been a PC issue, I forget. So it only makes sense to me that companies make the best looking games they can, then cut them down where need be. If you start at the lowest denominator and build up, well that could take awhile to get where you are going. Once 3DS dies it won't matter, Switch will be getting more games than any of us can play. Nobody is saying "No rats, no Switch." We just have to hope PS5 flops in 2019 or 202 so devs keep making games for PS4, some of which Switch will be able to handle. Really, I'll bet Switch could handle almost any game, but time and money, ROI, are real things. It will probably release on the 'New Nintendo Switch'. @BornInNorway81 PC's were more powerful than consoles in past... If an extraordinary amount of money was paid. In the 80's, 90's, and early 00's, the price/performance ratio of PC's vs consoles made PC gaming a luxury that most people could not afford. Why spend $2000+ to play modern games on a PC, when a $200-300 console could do almost as well? Plus, a lot of the console games looked much better, and PC ports used to be a minefield of bad transitions. @PAHTK "If you don't make for Ninty you're trash, if you do and fail, you're trash." If you say you are going to but then don't, well I'm the problem there, rented Yooka-Laylee for $1, beat it, sent it back. Playtonic is dead to me. Rats in the cutscenes, or rats during gameplay? So, there's more rats at some point in the game than say, common enemies surrounding characters in the upcoming Fire Emblem Warriors? Just how many rats are they trying to display? Honestly, the takeaway I get from this article is that the game was built at the Xbox/PS4 level, and basically since the Switch is not equivalent enough, then they aren't worried about porting. I get it, no worries, my feelings aren't hurt, just tell it like it is. That's Unreal Engine, I guess? Those rats are SO glossy. If the XBOX One runs this game, then the Switch can - its pretty much just that simple. If they XBOX One / PS4 base port is going to be crap, then don't make a Switch build. We don't need crap ports. A good bit of these horse power stories are rubbish, its an issue of middleware/APIs. If you are going to use an abstract 3D API that needs about 40% overhead, then PS4/XB1/Switch are going to suffer. Period. A system like the Switch needs developers to stop wasting resources and its just not going to happen. They like the overhead, it makes development easier/cheaper. I get the feeling this game is a little different in that it shouldn't be released for anything less then the PS4 Pro. That aside, all these lazy middleware/API developers should be taken with a grain of salt. If you don't believe, look at what Vulkan did for Doom3. Developers were able to add video cards that were ancient to the supported list by lowering the overhead via Vulkan. We need more of that. @BLP_Software Think of the Pro and X as the new gen consoles. The 4 and the One are now the new PS3 and 360. There's literally no difference other than a "non-traditional" 5 year cycle. This is why Nintendo is forever playing catch up gen after gen after gen.
@Darasin no. The power gap between the XB1 and Switch is that big. @PanurgeJr It goes back longer than that- Sony and Microsoft marketed the PS2 and original XB as being "PC-like" back in the 6th console generation! 😆 Even back then, Nintendo was trying to do something different from their competition with the GCN. They should ask Shin'en or the defunct Factor 5 devs what their opinions are. Any of them could probably get it running smoothly in a day. This game seems like another overhyped third-party game. Developers are always making excuses for their lack of willingness to invest in a good port with Nintendo consoles. Let's be honest, if the Switch is not very powerful how does it run Breath of the Wild? If the Switch is not very powerful how did the Wii U run games like Beyonetta 2 (similar to Darksiders) and Xenoblade Chronicles X (had a bigger world than Fallout 4 and The Witcher 3)? Yayyyyyyyyyyyyyy another game it cant handle. Nintendo need to bring out a power upgrade module that fits into the dock and do it soon. Every time I read an article like this, I can't help but think that what they're really trying to say is "yeeeaaahhhh, we probably COULD, but we're just not all that great at programming". honestly this game really doesn't look like my sort of thing. @GraveLordXD the name of the game anymore is services. Whether it's Sony, MS, Google, Apple, or really anything not named Nintendo. Services is the name of the game. Hell, playStation now has a competitor to cable and satellite TV! PlayStation Vue. It's amazing how narrow minded and focused Nintendo is. @gatorboi352 that's delusional. 1Gflop vs 1.4 isn't that big. If you took API overhead out with Vulkan, there would be no difference in GPU ability unless you also used Vulkan on XBOX1. Out of the two, only the Switch has been certified that I know about. It's pure lazy, don't let the BS fool you. @Darasin sometimes it's laziness. Sometimes not. @gatorboi352 most of these its laziness, in the sense the typical dev is never going to bother limiting their API overhead. It's about saving every buck. That's fine, but don't whine that X system is lacking when you aren't willing to do your part. I"m ok with a dev saying, hey we're cheap bastards and are looking for the easy route. It's a free country, don't have to lie to me. @Darasin really man, it comes down to the fact that more often than not, people buy Nintendo systems for Nintendo games. It's a sad state of affairs really, from a former die hard Nintendo fan like myself. @gatorboi352 why is that? Because those games are typically better? Like I said, I see the attraction of XBOX, MS offers no competition. Since PS4/XBOX 1 developers can not leave their core consoles behind per Sony/MS, the gap between systems isn't going to be as big as it could be. If I am developing a none exclusive title, I follow the numbers and Nintendo is hot right now. The Switch has plenty of potential, just needs some shops <other then Nintendo> to try. @Darasin "Because those games are typically better? " Dunno, as that's really a subjective stance. As to your last paragraph, I wholeheartedly agree.